Panic! At The Disco and Twenty One Pilots are among the other bands in the annual countdown published by Billboard. Green Day have joined the likes of Lady Gaga, Drake and The Weeknd on Billboard's annual list of the '50 Highest Paid Musicians' of the year. 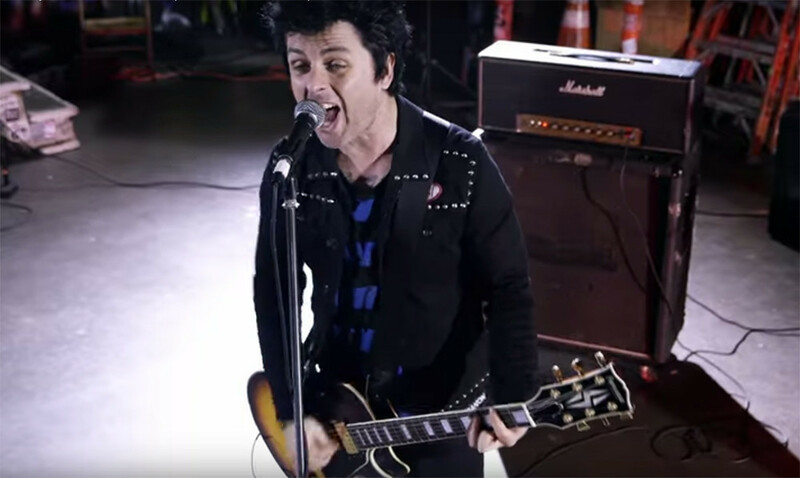 Billie, Mike and Tre took the number 40 slot, with a gross of $11.61m, following a strong touring cycle behind recent album 'Revolution Radio'. They had 565 million streams and 665,000 song downloads in 2017. Elsewhere on the list, Twenty One Pilots came in at number 44 with $11m while Panic! At The Disco are at 47 with $9.4m. The top spot on the list went to U2 with country star Garth Brooks and Metallica in second and third place. Check out the full top 50 list via Billboard here. For more great new music, subscribe now to the Rock Sound Chart over on Spotify, updated every Friday.